​Just outside Huonville, Tasmania, is a great little farm-stay B&B. 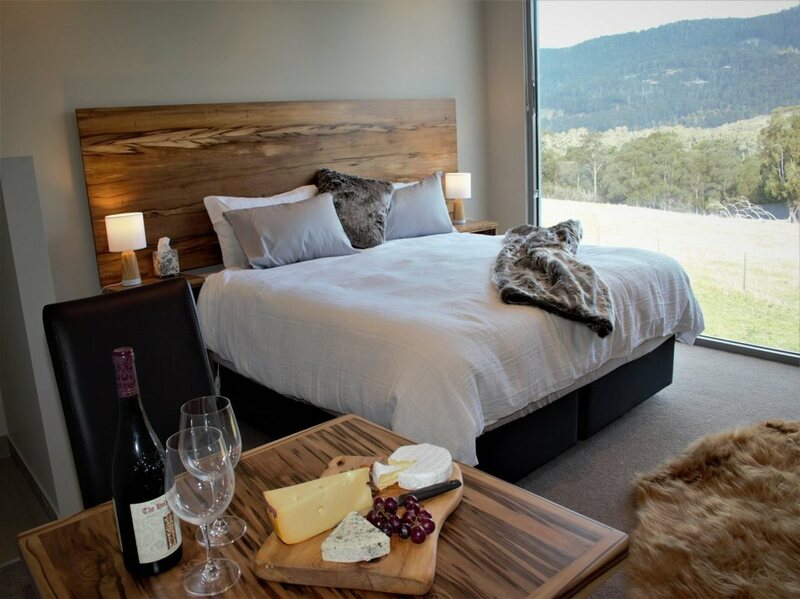 The comfortable homestead offers expansive panoramic views to the Huon River below and a pretty rural landscape above. The broad pastures are decorated with, Highland cattle and alpacas. The two luxury guest suites have seperate entrances blending privacy with easy access. One suite has a hot tub, the other has a cinema. Which will you choose? 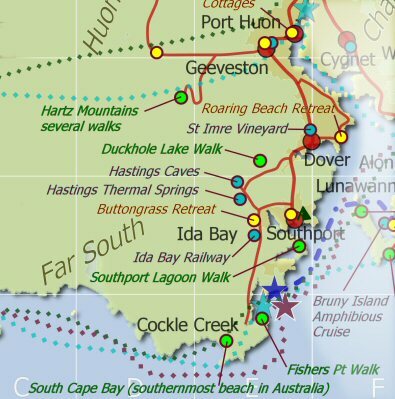 Great for a romantic couples retreat or a base to explore the Huon Valley and Far South. Two couples or an extended adult family travelling together can have the best of both suites by booking both and sharing the hot tub and cinema and relax outside on the homestead deck for a barbecue. This riverfront property is named “Highland Getaway’, not for the altitude but for the Highland Cattle roaming just outside your window, this is a working farm. Your host, Julie, invites you to join her as she goes about the farm work on the 6 seater ATV. Tours of the property include feeding the Highland cattle and the lovable alpacas. 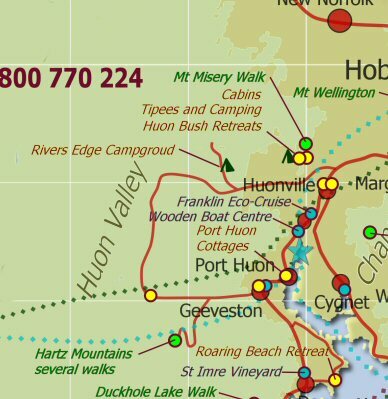 Just 50 minutes drive south of Hobart, this peaceful and secluded environment will be a memorable highlight of your Huon Valley Escape. The Cinema Suite has a luxurious King Size bed with magnificent views, with a private bathroom, kitchenette, and modern cinema with surround sound. 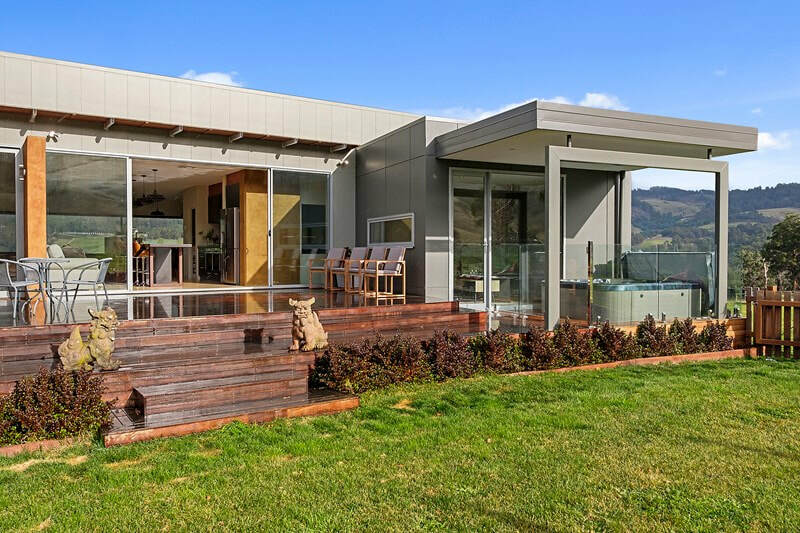 Wake up each morning with the view across the pasture sloping down to the Huon River. Room Inclusion : En-suite (with towels, shampoo, conditioner and body wash), Private cinema lounge with kitchenette (with smart TV, internet, microwave, fridge, toaster, kettle, cutlery, crockery, glasses, tea, coffee, sugar, continental breakfast). The Spa Suite is a private wing of the main homestead. It includes a spacious King bedroom, luxurious ensuite, spacious walkin robe and a living room all with magnificent views. The lounge overlooks the hot tub which is exclusive for your use. 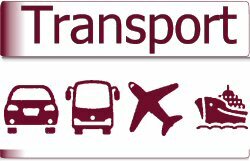 ​Room Inclusion : En-suite (with towels, shampoo, conditioner and body wash), Private lounge with kitchenette (with smart TV, internet, microwave, fridge, toaster, kettle, cutlery, crockery, glasses, tea, coffee, sugar, continental breakfast), hot tub (including towels). 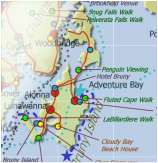 or scroll down to the booking chart below. 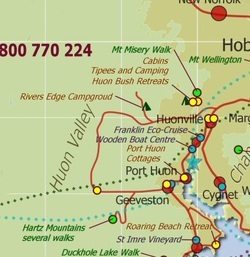 Taxi from Huonville busstop to Highland Getaway costs about $24. Join your host, Julie, as she goes about her farm work on the 6 seater ATV. Tours of the property include feeding the Highland cattle and the lovable alpacas on this working farm. 15 minutes drive to the track head at Huon Bush Retreats, then 3 hours return walk through rainforest to a mountaintop and small waterfall. 15 minutes to the apple museum and cafe, cider works and distillery. 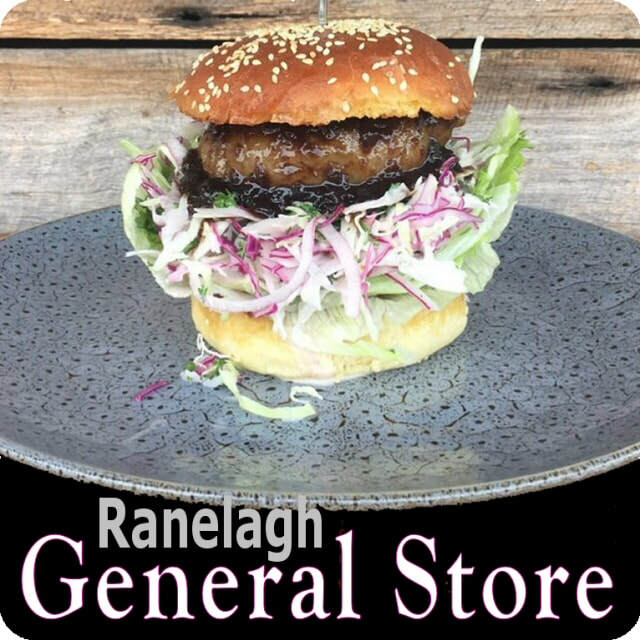 5 minutes drive to Ranelagh village and this funky eatery. 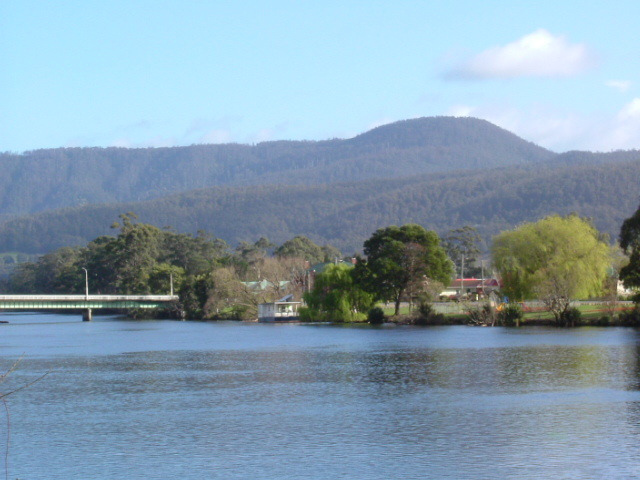 Huonville is close by with a range of supermarkets, eateries, post office vehicle repairs, doctors etc. 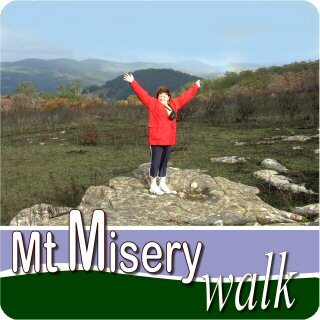 With a population is about 2000, it is big enough to have most day to day things but rarely crowed. 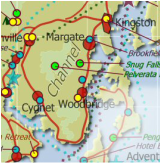 Note that restaurants close early, so e recommend arriving at the restaurant by 7:30, or phone ahead to be sure. 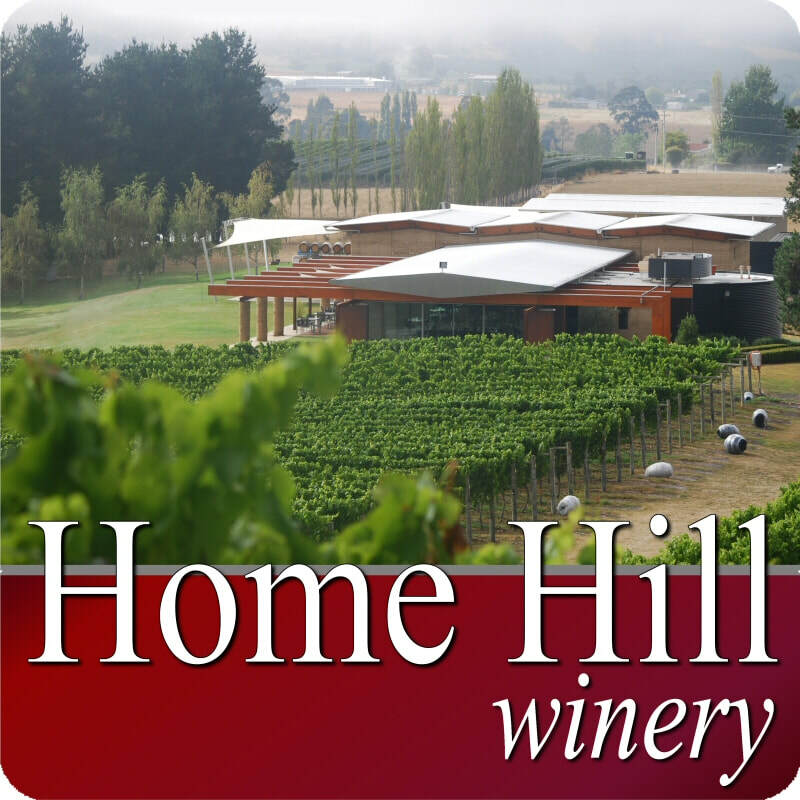 Home Hill Winery are open for lunches. 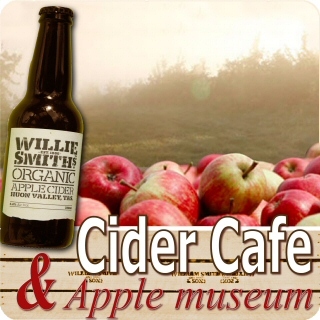 ​Willie Smiths Apple shed do a fun dinner and music on Friday nights.